The change did not come easily for black citizens around the world. Over the centuries, there have been countless proponents of equality in the United States of America: Long before Frederick Douglass, Rosa Parks, Martin Luther King, Jr. Barack Obama entered history, a 22-year-old slave named Robert Smalls accomplished an unthinkable act of bravery and audacity. As the title suggests, this text will explain how Captain Robert Smalls became a figure of the American civil war. In what degree has his participation to the Navy been crucial for the victory of the Union Forces? 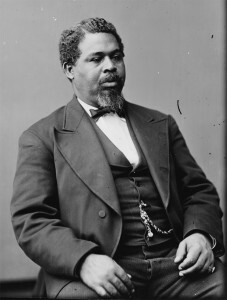 And why – according to some historians – did the life and audacity of Captain Robert Smalls build the foundation of Afro-American Emancipation? One can notice that he had also an important role in the representation and participation of state politics during the reconstruction of the USA.